The Dry July Foundation is dedicated to helping to improve the comfort, care and wellbeing of people affected by cancer. We are proud to deliver the annual Dry July campaign; an efficient, low-cost fundraising campaign, using innovative online technology and social media to engage participants and donors. We receive no government funding, and rely solely on donations from the public. For every $1 invested in the campaign, we aim to raise $4 to support people affected by cancer. Funds raised through the Dry July campaign are distributed to cancer organisations across Australia. These organisations provide support services to cancer patients, their families and carers. Like the Dry July Foundation, these organisations depend on the generosity of the community through campaigns like Dry July. We maximise the impact of your fundraising and donations by partnering with reputable cancer support organisations, ensuring that Dry July funding is used only for projects which directly benefit people affected by cancer (not for GST on purchases, marketing, operating or overhead costs), and enforcing a strict outcomes reporting policy. We have proven, and will continue prove the difference your donations make. To see our latest impact stories, please click here. The Dry July Foundation is a Tax Concession Charity (TCC) with Deductible Gift Recipient (DGR) status registered under ABN 88 497 552 964 by the Australian Tax Office, and is a registered charity with the Australian Charities and Not-for-profits Commission (ACNC). The Dry July Foundation is independently audited annually by PKF Lawler. Ian Elliot is a Communications Specialist. 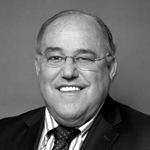 He is the former Chairman and CEO of George Patterson Bates, Australia’s largest Adverting Agency. He retired from that role in 2002 and took up a career as a non-executive director. He is the former Chairman of Promentum Ltd and former Non-Executive Director of Hills Ltd and Salmat Ltd. Ian is currently a Non-Executive Director on the board of McMillan Shakespeare Ltd. He is a former member of the fundraising committee ‘Friends of St Vincents,’ and former board member of The Starlight Foundation, acting as Chairman of the Star Day Program. Ian is a member of the Australian Institute of Company Directors. His book ‘Stop Bitching, Start Pitching’ was a best seller for publisher Murdoch Books. Brett is an experienced creative director with more than 15 years in branding and business communications. With a background in start-ups, creative agency and the corporate sector means his range of skill sets, personable approach and passion for the cause are well suited to the development of Dry July. Brett holds a BA (Hons) in Graphic Design and Communication and is a Graduate of the Australian Institute of Company Directors. 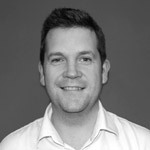 Kenneth has ten years public relations consulting experience in ANZ and the UK and is well-versed in communicating brand strengths to both consumer and specialist audiences. With considerable not-for-profit, corporate and consumer technology experience, he has key strengths in executive counsel, brand strategy, community engagement and problem-solving. Kenneth holds an MA (Hons) from St Andrews University and the Chartered Institute of Marketing’s advanced certificate. Graeme is a lawyer with over 20 years’ experience. 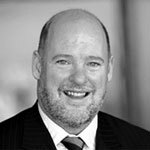 Currently a partner of HWL Ebsworth, Graeme has advised the boards of some of Australia’s largest companies and State Government organisations. Graeme has acted for a number of years as the honorary solicitor for the Wheelchair Sports Association Inc. He is a proud benefactor of the Northcott Society and is also a benefactor of the Juvenile Diabetes Research Foundation. Holding degrees in Law and Arts from both Sydney University and the College of Law (Sydney), Graeme has been admitted to practice as solicitor in the Supreme Courts of Victoria and New South Wales, the High Court of Australia and New Zealand. 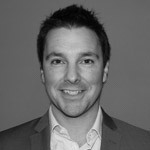 Scott is a Fellow of the Institute of Chartered Accountants in Australia with over 20 years of commercial experience. 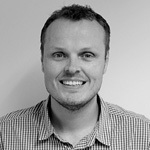 Scott is a Director and owner of ABR Virtus Chartered Accountants in Canberra. His role involves the specialisation in business advisory and taxation issues for private clients. Prior to the establishment of this business, Scott acted as an Executive Director of Canberra’s largest business advisory firm. Scott has extensive business and taxation knowledge, holds a B. Bus (Accounting) from Charles Sturt University and is also a Registered Tax Agent.